The result of extensive collaboration between Josh and Jasson Salisbury. 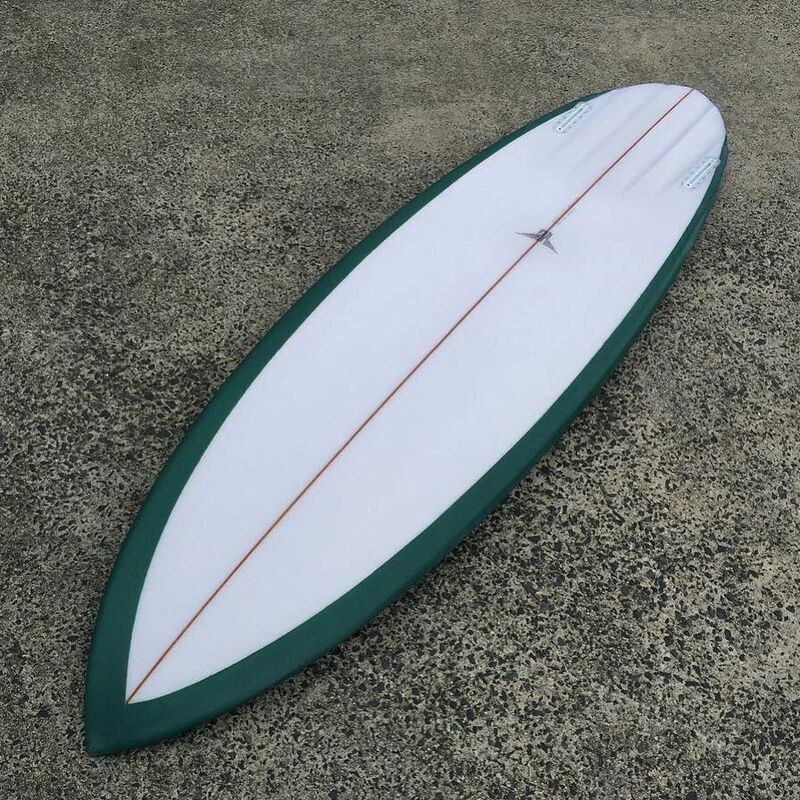 The outline is a continuous clean curve, Mellow rocker and reasonably uncomplicated bottom countours with some vee around the back foot. Fullish rails, not that dissimilar to a contemporary shortboard. 4 channels under the back foot set within the vee, one of the most pivotal components of the design. In Josh’s words: “channel bottoms have been my preferred board in conditions where the waves have some energy, the drive and acceleration in my opinion is unmatched. 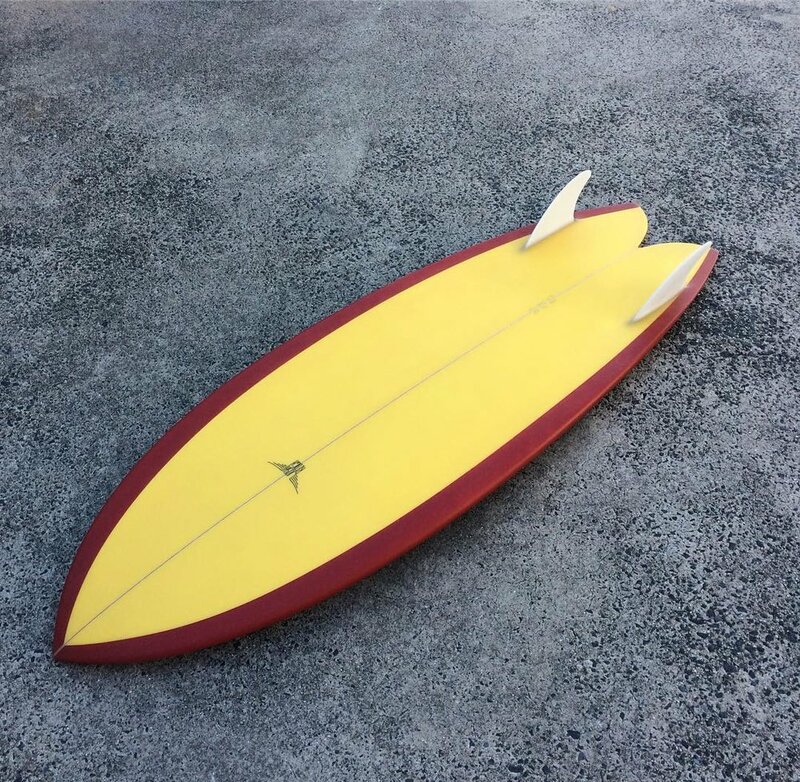 My designs draw inspiration from Channel bottom pioneers such as Al Byrne and Jim pollard, these design elements have been proven time and time again by some of the best surfers on the planet and i truly believe that the introduction of channels was a major development is surfboard design. The longer channel bottoms i create are constantly evolving and as my experience both surfing and shaping these boards expands so are the subtle elements of my design. 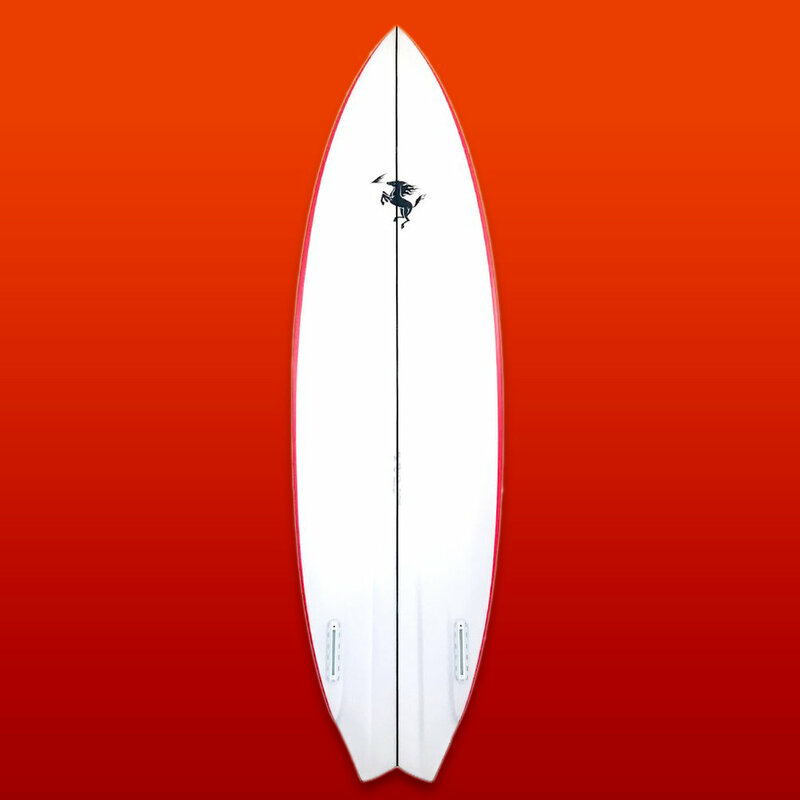 The Mustang is a high performance twin fin collab design Josh created with Nathan Webster. Two times fins equals two times fun. Fast as f*ck! You will be addicted to the glide of this ride. Wing swallow with 4 channels out the tail for some extra bite and squirt. Order a couple inches down from you normal shorty, half inch wider and a litre more to be in business. So I guess we’ll do that. How about you? Josh also told us this one has been “going amazing”. Also so fresh it’s not even online yet. We’re heavily contemplating a few for this summer. And for when it gets big again this winter. who started shaping kinda out of necessity. Due to being sidelined from surfing because of a serious back injury, young Josh started finding his way into the shaping bay as a way of staying stoked. Flash forward to right now, and the man is 28 years old and has been shaping boards for and evolving his craft with the likes of Ozzie Wright, Otis Carey, Nathan Webster, Harrison Roach, Ari Browne, Johnny Abegg, Jasson Salisbury and just recently Dave Rastovich. That’s a veritable who’s who of modern day freesurfers right there. His surfboard designs are a kind of mashup of highly functional features implemented through the 70s and 80s and mainly pivot around the theme of twin finned, channeled bottomed shred machines. Currently these come in the packages of tweaked out twinny fish, fluid round tailed step up twins and a larger midlength channeled twin/single envelope you can take out on virtually any day, whether it’s two foot windslop or pumping reefpits. and Josh’s twins deliver. Just take a quick peak at the footage above or pics below and you’ll discover exactly that means. We’re ultra-stoked Josh will be shaping in Europe for the first time ever this spring, drop us a line for questions about customs or just fill out the custom order form and we’ll get you sorted. Right on.